We don’t usually associated yodeling with country music these days, but there was a period of time where the two went hand-in-hand. 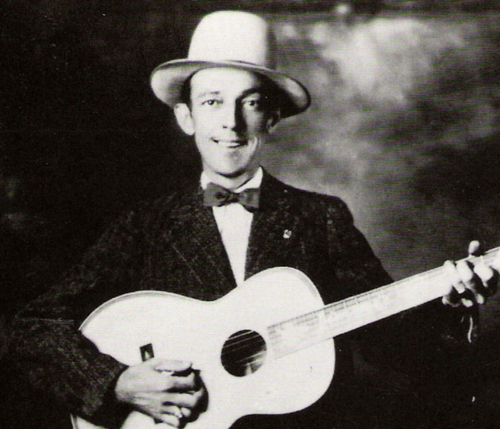 Jimmie Rodgers wasn’t the first to yodel on record, but its great popularity can largely be credited to him, and listening to these three songs, it is not hard to see why. Like the Carter Family, Rodgers brought exquisite craftsmanship to his vocals, but he also brought unrivaled showmanship. He freely borrowed from the blues, jazz and vaudeville traditions, and managed to give his music a professional polish while still paying homage to its rural roots. He became country music’s first big star, and his influence continued to be felt long after his death from tuberculosis at age 35 in 1933. 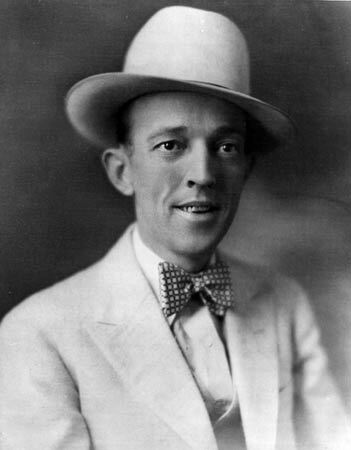 “In the Jailhouse Now” is another of Rodgers’ most popular compositions, and has been covered many times. This is a mellow song, buoyed by gentle banjo and guitar. Rodgers keeps his pleasant voice very moderated, and except for an easy-going yodel between each verse, he mostly lets the humorous lyrics do the heavy lifting. He tells a simple story about a friend who always gets into trouble with the law: “I told him once or twice to quit playing cards a and shooting dice / He’s in the jailhouse now.” In the end, however, the narrator gets himself in hot water, and the song brilliantly ends with the narrator “in the jailhouse now,” as another gentle yodel closes the song. The B-side to “T for Texas” was a wonderful song called “Away Out on the Mountain.” This is much slower, with a sweet melody and Rodgers’ trademark witty lyrics. I especially like the way he sings, “Where the wild sheep grows and the buffalo lows” in the second verse: his timing is perfect, and his voice is rich with character. And yes, there is more yodeling: this time reaching further and more consistently into the falsetto range in what turns out to be the perfect punctuation for this beautiful, whimsical song.